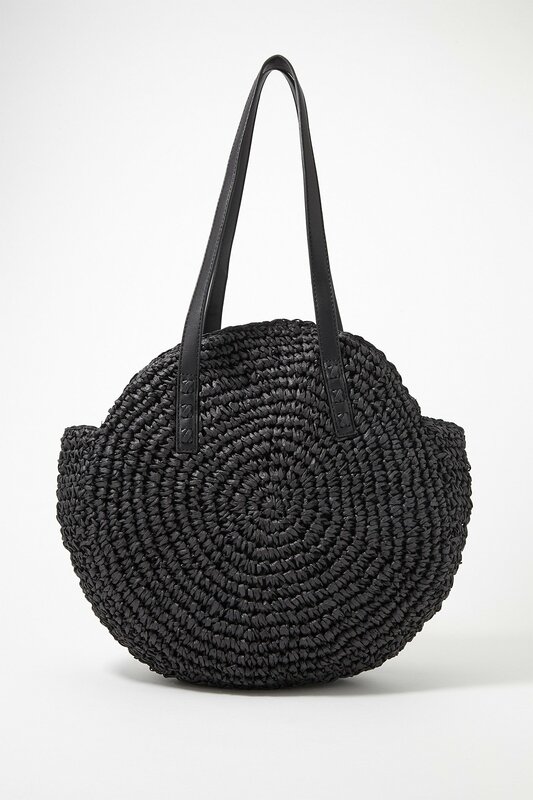 Meet your everyday tote for this spring/summer - carry all your essentials while staying on trend with straw bags. Tote has an oversized round shape. Features zipper closure, interior pouch pocket and faux-leather double shoulder straps. 17" length x 15" height.